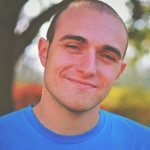 Mike Filicicchia shares wisdom on why pacing your discipleship is key in teaching students to obey Jesus and not just know about Jesus. I’ve had opportunities to teach the Bible in some form or another for about 15 years now. In those 15 years, I’ve somehow failed to learn how to stick to a time limit in preaching or teaching. I’ll be on track for maybe a third of my talk, hit some point I’m particularly passionate about, go off on an unscripted rant, and totally annihilate any and all margin time I had built in. Maybe you relate. Preaching a bit over your time limit may be only a small offense, but making a habit of over-informing those you disciple can have disastrous implications for multiplying missionaries. To make our ministries truly excellent in multiplying world-changing disciples, we must adopt a fierce determination to withhold teaching additional information to those we disciple until we cultivate obedience to what they already know, allowing it to take root, become habit, and reproduce. It’s about finding the right pace for discipleship. Once you’ve carefully selected whom you will disciple, and how you will disciple them, you will need to consider a curriculum with a timeline to help your students develop. The most common mistake I make here is to teach a biblical concept in a Lecture environment one week, and the next week move on to a new-but-related concept again in a Lecture environment before students have had time to develop lifestyles of obedience via Discussion and Lab environments in the previous material. Sunday services, new believers’ classes, and small group curriculum can be the worst offenders here. When we run a class, group or series with new content every week for eight weeks, with no intentional plan to ensure students obey what they’ve learned before moving on to new content, we inadvertently communicate that the goal of the Christian life is information acquisition, not obedience to Christ. Instead, we must resolve not to move on to new content before substantive lifestyle patterns are developed in our previous content. This requires that we get really honest with ourselves about how long it actually takes a student to reproduce an aspect of Christlike character or competency. Think about that phrase “substantive lifestyle pattern” carefully. If you do a six-week series on spiritual disciplines covering one per week in a discussion setting, how many of those disciplines, on average, do you think someone will have made a lifestyle at the end of that six weeks? How many could they train someone in? What if, instead, you practiced the same discipline with them every week for those six weeks? You may have just moved from zero lifestyle multipliers to half of the group! This practice requires incredible self-restraint, holding back all we could teach in order to first ensure students can model and reproduce what they’ve already learned. Consider how frequently Jesus practiced this same restraint with his disciples, even telling them explicitly, “I have much more to say to you, more than you can now bear” (John 16:12). Consider this process for helping a student develop in any area of discipleship, from intercessory prayer to sharing their testimony, to serving meals to the poor. In my experience, getting from Level 3 to Level 5 takes at least twice as long as getting from Level 1 to Level 3. Getting from Level 3 to 5 is an absolute slog through all kinds of muck and mire in our students’ lives, helping them walk through the manifold reasons why they’re able to do something alright themselves but struggle to see it really bear fruit in others’ lives. We’re helping them move from spiritual adolescence to parenthood, and it’s tedious work. Often they want to quit, and we want to quit, which is a major factor in why so many settle for sticking to the classroom Bible studies. But there is absolutely no way around this process if we want to see true gospel movement take place on our campuses. For this reason, I’ve adopted a new phrase in my work of coaching disciple-makers: “Fives Before Threes”. Imagine you want to train a student in evangelism, and the two competencies you want to impart are sharing their testimony and sharing a gospel presentation. You begin with their testimony and they’ve reached Level 3 competency, where they can do it confidently without missing a beat. You may be tempted to move on, beginning to teach them how to share a gospel presentation, but if we are going to see multiplication movement, we must hold off and teach them to become fruitful in sharing their testimony (Level 4), even to the point they are training another person in it (Level 5). So this is where I remind trainers: “Fives Before Threes”. Get them to Level 5 competency in sharing their testimony, leaving them totally inexperienced (Level 1) in sharing a gospel presentation, before moving on. So rather than sticking with the leader on the precipice of lasting ministry fruitfulness and training them to multiply, we begin convincing ourselves we should divert our training energies elsewhere. 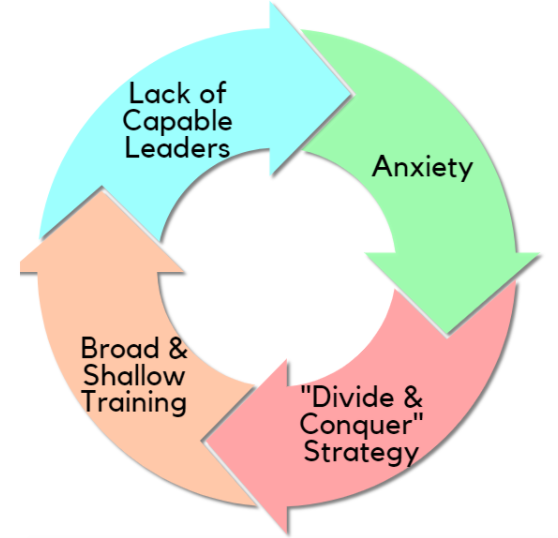 This “divide and conquer” strategy can feel like the only viable strategy at times, but in the long run, it produces dead-end groups with leaders who cannot multiply on their own, and we remain the bottleneck to the growth of the whole system, resulting in both a stagnated ministry and burnout for you. This thinking and behavioral pattern is the mortal enemy of reproduction. It’s like planting seed in the ground, watering the plant long enough to see it grow and sprout branches, and then starving it of vital water and sunlight just as it’s getting ready to bear fruit that will eventually drop seeds into the ground and reproduce more plants. I hope you see the insanity in this. We’re all susceptible to this kind of myopia, but I don’t think we’ve yet villainized it for the movement killer it is, because I still see it in every single collegiate ministry I observe, including my own! So I leave you with a final exhortation: take it slow. Cultivate obedience, and then reproduction. Don’t move on until you see it. Remember: Fives Before Threes.